China. Qing dynasty, Qianlong period (1736–1795). 與茶奚必較新陳 Why compare [inks] as [one compares] tea according to their ages? 用佐文房孰比倫 Inks should be used in study [to see] which one is unrivalled. 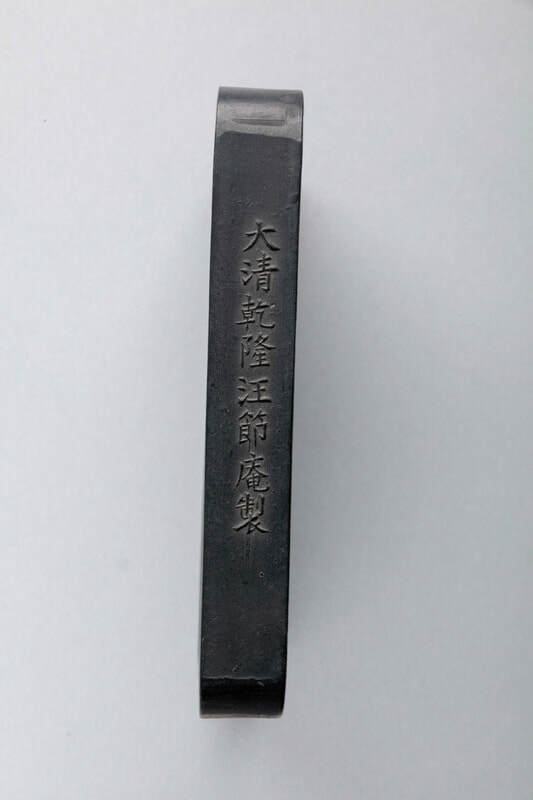 歷歷千言照今古 Innumerable words [written with ink] have passed down through the ages. 超超六法顯精神 The Six Methods [of painting] convey the spirit [of the subjects depicted]. 呼卿喚子謂多事 There is no need to summon officials and youths [to come view the ink]. 玩日愒時斯枉珍 It will be wasteful of the ink if one fritters away his time and days. 依肰研北此龍賓 this extraordinary ink remains on the desk. Wang Jie’an, also named Wang Xuanli 汪宣禮and Wang Rongwu 汪蓉塢, is a native of County She, Anhui Province. He earned a living as an ink producer. 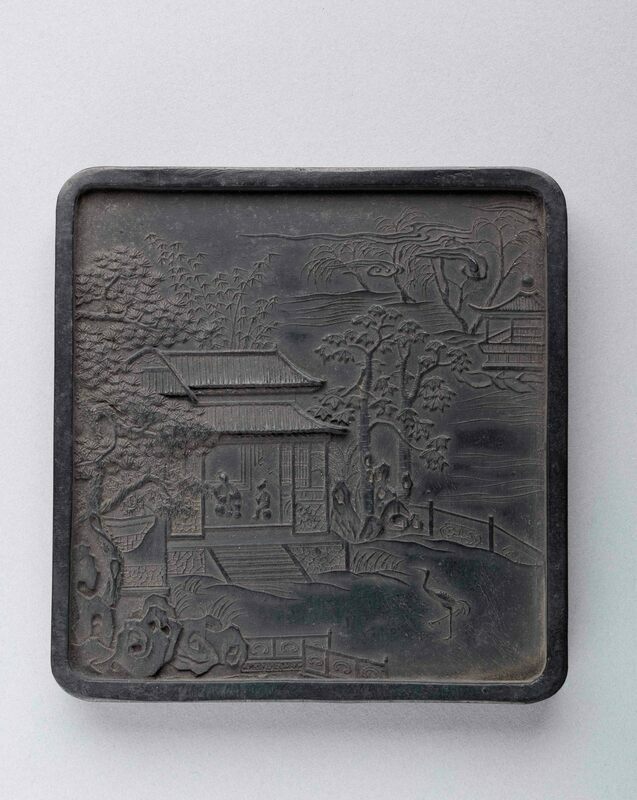 His Hanpu Zhai 函璞齋(Jade Containing Studio) was one of the most famous ink stores during the reign of the emperors Qianlong, Jiaqing and Daoguang. 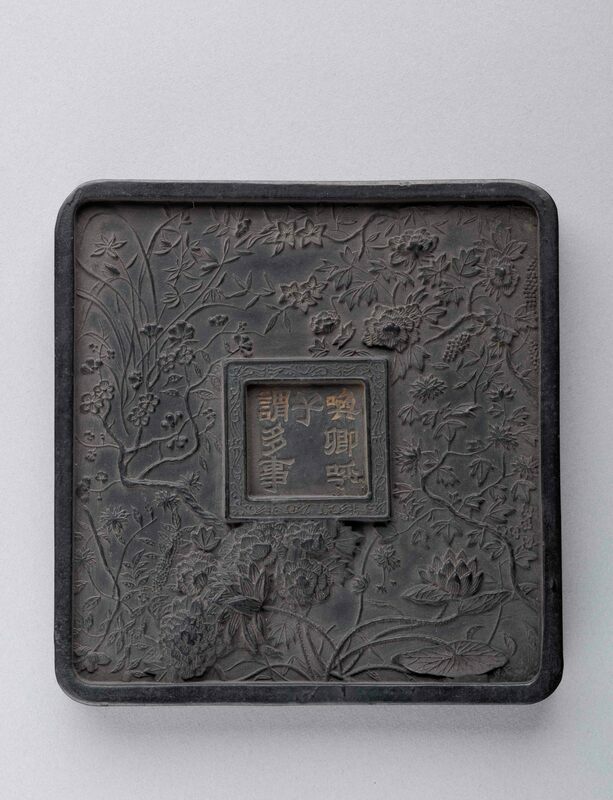 His writings include Record of Ink by Hanpu Zhai函璞齋墨譜, which documented more than eighty types of ink. Click on the smaller images above to enlarge.